The Green Deal – will not be back by popular demand; the curtains have been drawn on its final performance with no encore or tribute band lining up to play the coalition’s a one hit wonder energy policy. The Green Deal seemed to be trending for one day on twitter however, but only to highlight its unfortunate demise. The recently outvoted coalition government’s Green Deal scheme was aimed to provide access to energy saving measures with no upfront cost. The idea for the Green Deal was to provide access to a loan which means homeowners can increase the energy efficiency rating of their property through the installation of such measures as new boilers and improved insulation. With interest rates between 7-10%, and no absolute guarantee that the outlay would be less than the savings recouped. Many people were undertaking the required home assessments required to apply for the loan, to then realise the financial rewards were too risky and withdrew their application for shortly after. 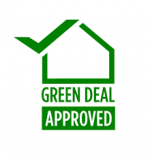 That being said since the scheme launched over £100 million worth of applications for Green Deal loans have been processed according to the GDFC (Green Deal Finance Company). The scheme enabled households in England and Wales to claim cashback for solid wall insulation and up to two other energy efficiency improvements. So since its inception the scheme had to really sell the financial and environmental positives and appeal to people’s necessity for ‘home improvement’. The Department of Energy and Climate Change (DECC) flagship home energy efficiency driver was only able to provide around 10,000 loans since the scheme opened in 2013, with around 5,600 loans still in progress. Even with fresh funding every quarter, DECC has announced the scheme shall cease to operate, as funding to the GDFC will no longer continue. The fund will cease to operate from 30th September 2015 or when the allocated £4million runs dry. With the removal of the tax break on the landlord energy saving allowance in April this year, and now the Green Deal removal, what direct government assistance is there to improve the housing stock’s energy efficiency? “We are on the side of hardworking families and businesses – which is why we cannot continue to fund the Green Deal. It’s now time for the building industry and consumer groups to work with us to make new policy and build a system that works.” Energy Secretary Amber Rudd. As the UK moves towards the 2050 carbon reduction target, and with the state of the housing stock in the country, it seems logical to provide people with an incentive to increase home energy efficiency. One can’t help but feel that the outright scrapping of the Green Deal Home Improvement Fund rather than a rebrand, reform and relaunch of the scheme has consigned the efforts of the last governments to the policy scrap heap. It remains to be seen if this attempt to revive such a scheme is in the immediate plans of this government. But being idle and thinking this energy efficiency void will be met on its own is absurd, absolutely the government must assist homes in improving this. A less bureaucratic, more attractive financial package delivered more efficiently is what is needed, let’s see whether DECC has placed the final curtain or if there’s in fact a greatest hits album lurking in the wings. Whilst we commend the efforts and ides being of the Green Deal like a ballad performed poorly, the audition was allowed to last until the end of the show but now the performance has received the dreaded x’s from the judges , and sadly won’t be making it to the finals.